J. R. Hyland was the founder of Humans Religion. Our mission statement follows: "HUMANE RELIGION is committed to developing materials that will nurture and support those who have been called to be part of the spiritual evolution that is manifesting itself among those who understand that love and compassion must be the hallmark of our relationship with all God's creatures." We offer our services to people of any faith and to people of no faith. We work with individuals as well as with groups, to help develop strategies and materials to reach Sunday School classes, small group meetings, seminars and whatever other venues people want to develop. Our materials are based on the bible which teaches that animals were specifically created to be the companions of humans, that humans were created to be vegetarians and that animals, as well as humans, have a soul that lives on after death. There is no charge for any of these services. We also provide a variety of booklets on various topics including hunting, fur-wearing and vegetarianism. Through these booklets, which are distributed at tabling events in many different venues, we have reached many thousands of people. Because our financial resources are so limited, this outreach has been made possible because of the help of various groups and individuals who have reprinted and distributed these booklets at their own expense. 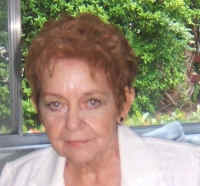 J. Regina Hyland went to be with the Lord on 9 October 2007. We miss her very much. It is with great sadness that I share the news that Rev. J.R. (Regina) Hyland has passed away. Regina was one of our planning retreat remote participants who had planned to join us in Kanab but, due to poor health, was forced to participate remotely. Shortly after the planning retreat her condition worsened and today, I received the news of her passing. In 1995 the Humane Religion monthly journal was born and, at its peak, had over 3,500 paid subscribers. Hundreds of copies of each issue were sent to churches and other ministries, in an effort to raise consciousness within the Christian community. In 1998 printing and postage costs became prohibitive so publication was suspended. The work continues with the online Humane Religion website (www.HumaneReligion.org) where many of the previous articles can be found. This online ministry has attracted over 5 million visitors in 2007, to date. Finally, Regina’s bio vision statement summarizes beautifully the work she began so very many years ago... the work that we continue today. We know peace for Regina and solace for her family as her legacy lives on within every fiber of our work. May the wisdom and integrity of her foresight continue to inspire us.